I usually post photos for the WordPress weekly photo challenge on my Perfecting Motherhood blog, but I thought I’d reblog this week’s theme, since the photos I featured are quite interesting and unusual, even wrong. I recently took some cool photos at a San Diego county park a few weeks ago, so I thought maybe something in there would fit the theme. And that’s when I found not one but two photos to share. I hope you enjoy looking at them as much as I enjoyed taking them. 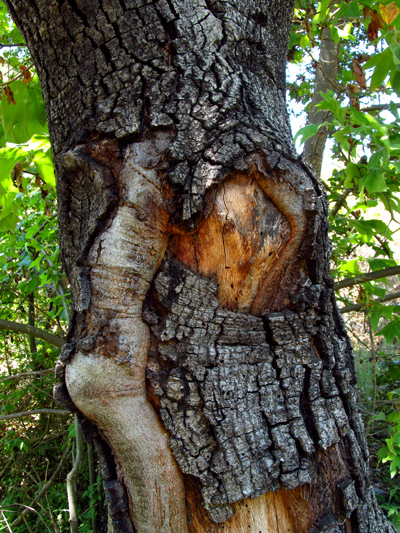 The first one is the photo of a two-third dead tree. I say two thirds because its trunk split in three early on in its growth and two of them had to be cut off, probably because they weren’t doing so well. The three-trunk tree looks wrong, especially with limbs cut off, but I love how nature can make a wrong right by providing shelter in the hollow trunks for animals in need. 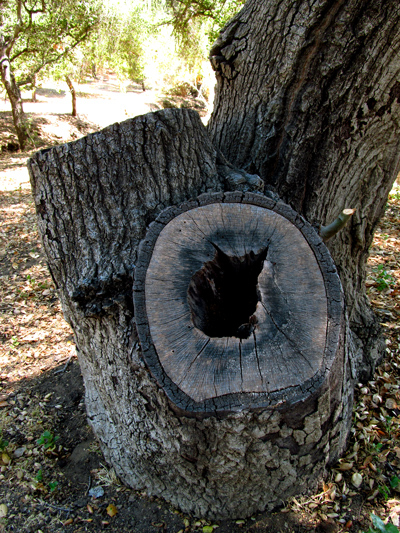 Posted by Milka Pejovic on August 10, 2012 in Photography, Photos of San Diego, Tree Photos and tagged face in a tree trunk, hidden shapes in trees, hollow tree, photography, photos, photos of hollow trees, photos of trees, San Diego, tree trunks, trees, Wordpress weekly photo challenge.